How to make a smoky green salad with homemade dressing made of apple cider vinegar and smoked olive oil. 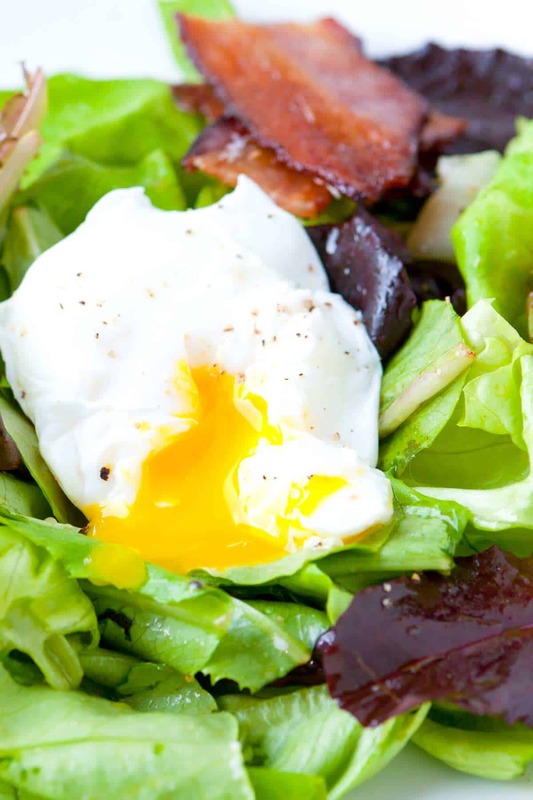 Jump to the Smoky Green Salad Recipe or read on to see our tips for making it. We are big fans of homemade salad dressing. 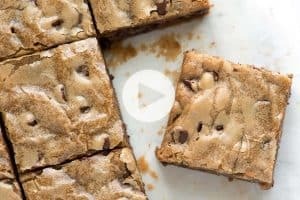 It’s quick, easy and so flexible. Our basic recipe is to combine vinegar + Dijon mustard + something sweet + olive oil. 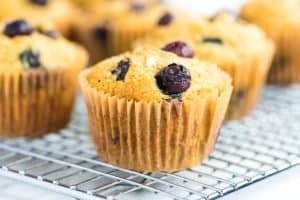 For this, we went with apple cider vinegar and maple syrup then instead of using regular olive oil, we used a smoked olive oil. 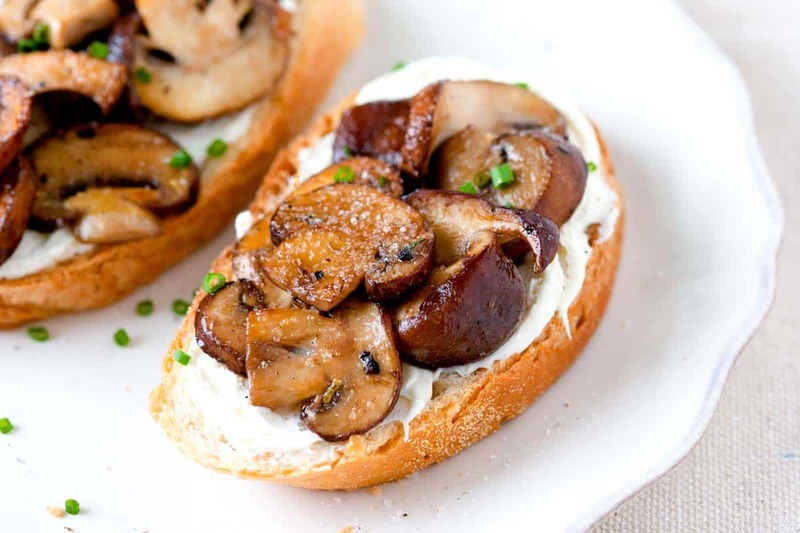 YOU MAY ALSO LIKE: This crostini with sauteed mushrooms, mascarpone cheese and truffle salt just might be my favorite way to eat mushrooms. Jump to the Sauteed Mushrooms and Truffle Salt Crostini Recipe. If you have never tried it, the smoked oil adds a great backbone to the dressing. To make the dressing, we grate about half of a garlic clove into a bowl. I love using my microplane for this since it gets the garlic extra fine. If you don’t have one, just mince the garlic very small. Next, we whisk in some apple cider vinegar, a little pure maple syrup, Dijon mustard and finally the smoked olive oil. 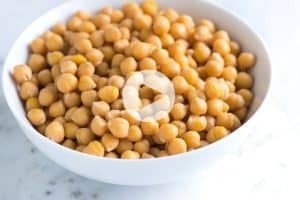 As you whisk the dressing, it will thicken slightly and become emulsified. Don’t forget to taste the vinaigrette. You will likely need some salt and a few grinds of black pepper are always a good call. 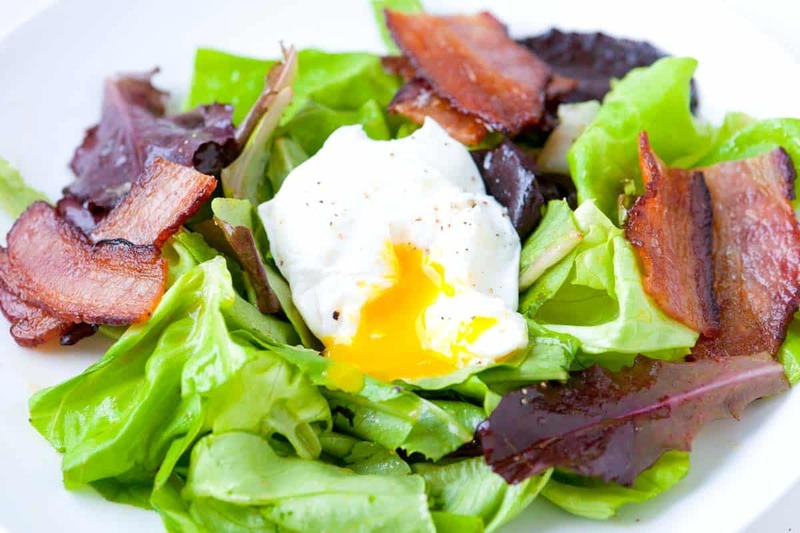 In this recipe, we toss lots of baby greens with the smoky dressing and top the salad with bacon. I just love it. If you want to see my favorite way to cook bacon, head over to our How to Bake Bacon article. It’s mess-free and keeps the bacon nice and crisp. Smoked olive oil adds just a hint of smoke to this dressing made with apple cider vinegar and maple syrup. 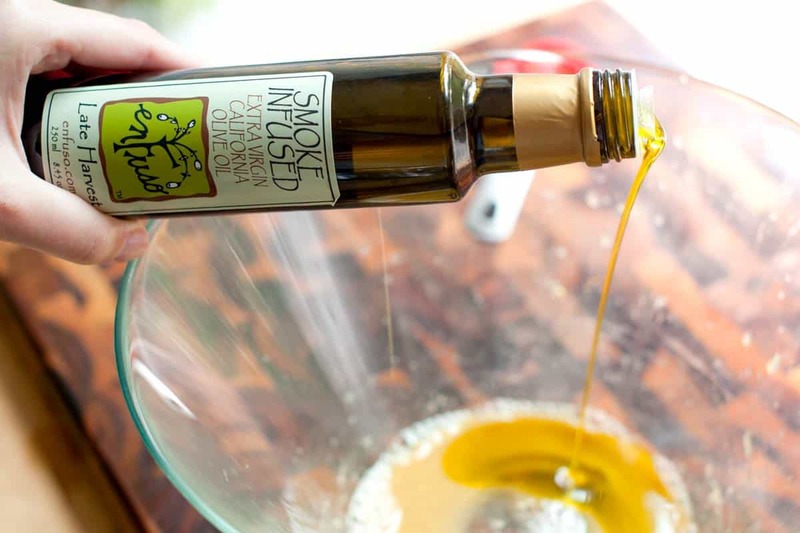 If you do not have access to a smoked olive oil, using regular olive oil will work just fine. When you toss your salad with the dressing, remember to do this lightly to prevent bruising the lettuce leaves. In the bottom of a large salad bowl, whisk the garlic, mustard, apple cider vinegar and maple syrup until blended. While whisking, slowly stream in the smoked olive oil until the dressing has thickened slightly and looks emulsified. Taste then season with salt and a few grinds of black pepper. Add lettuce to the bowl with smoked vinaigrette. Gently toss the leaves until lightly coated. Divide greens between plates then top with chopped bacon and a poached egg.